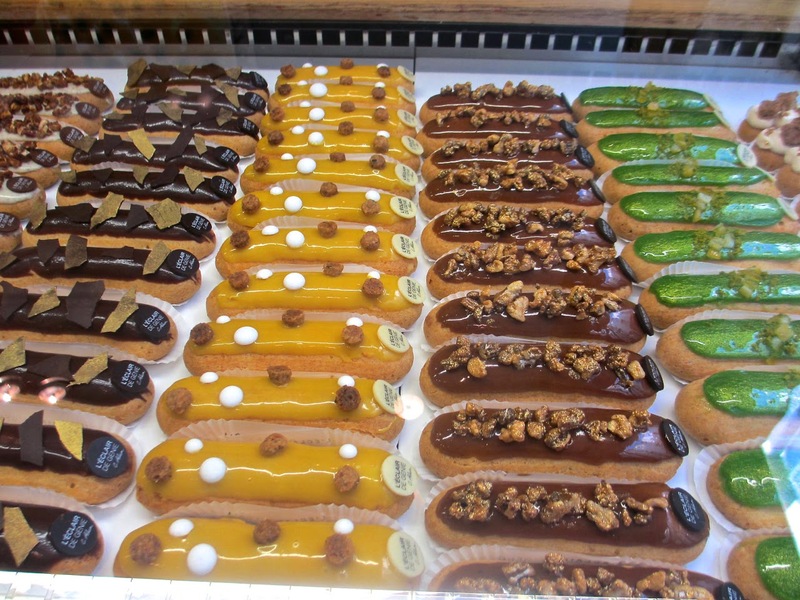 There is a big resurgence of eclairs in Paris, mostly due to the efforts of Christophe Adam, whose credentials include stages at an amazing array of famous pâtissiers, and who was named "Pâtissier de l'année" by the famous Pudlo guide for 2014. And they taste good, too! 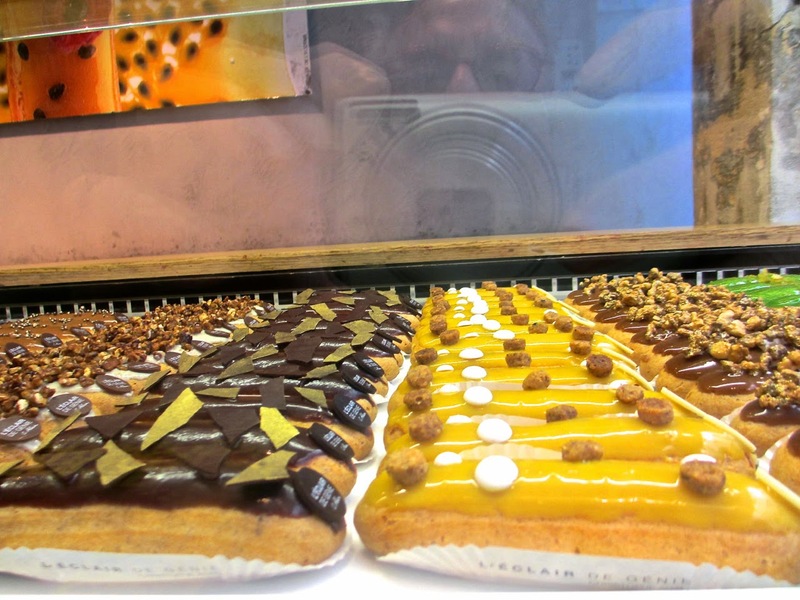 Sophisticated flavors abound, and almost keep up with the spectacular appearance of the éclairs. 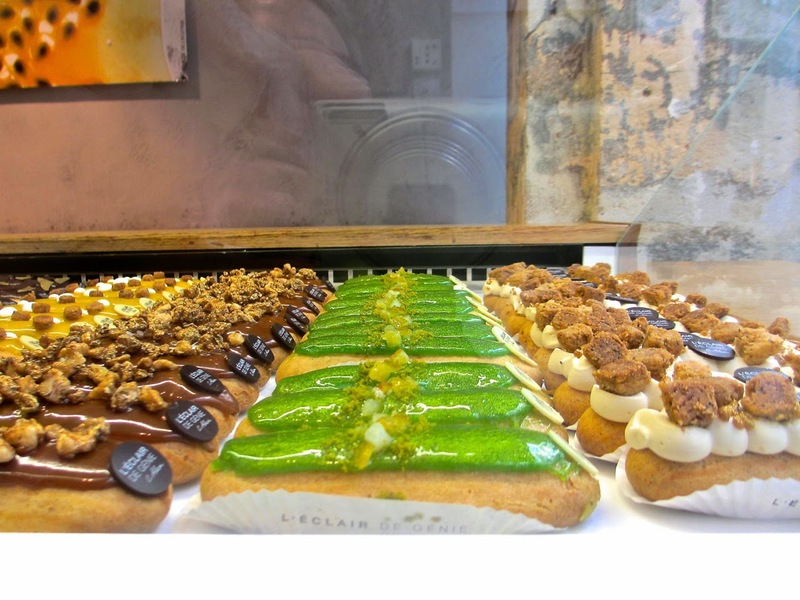 Éclairs de Genie, 13 rue Pavée, Paris 75004 (Métro St.-Paul).